If you're local to Exeter or the surrounding areas, there's no doubt you'll have heard of Darts Farm. It's a beautiful farm shop boasting local produce and so much more. 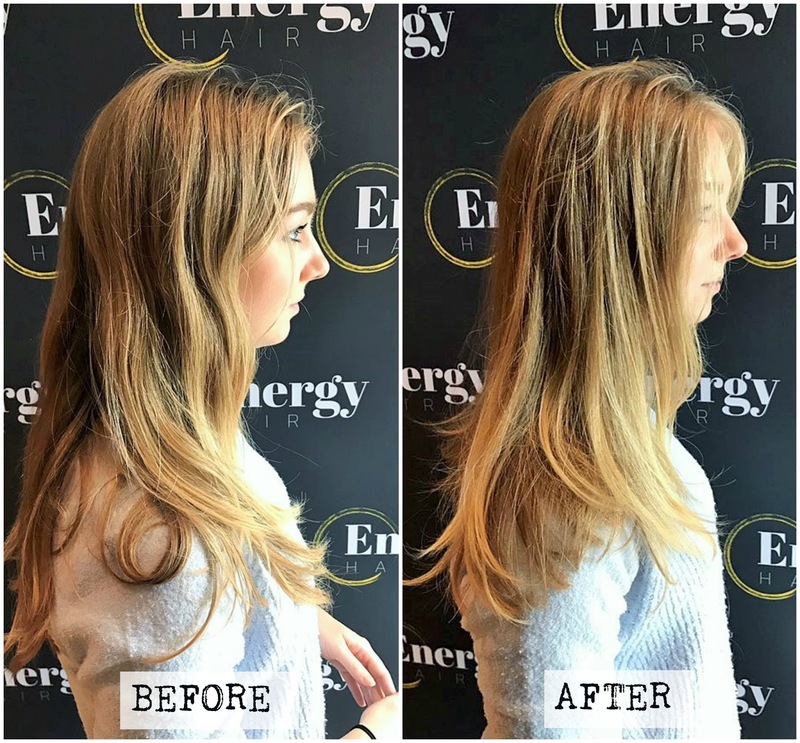 A hidden gem around the back of Darts Farm is its spa & beauty facilities, including the likes of Energy Hair. I was kindly invited to receive a wash, cut and blow dry with Luke, one of Energy's newest recruits. 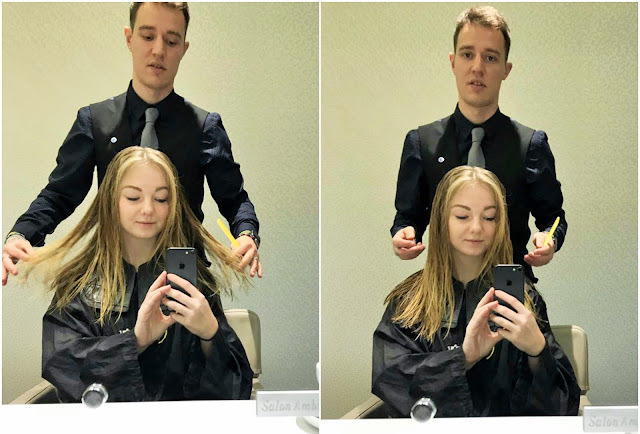 He finished his training with Sassoon in London earlier this year, and his enthusiasm and talent for hairdressing really showed. He also makes a pretty good cup of tea! The process began with the hair wash - quite possibly my favourite bit! A relaxing head massage was exactly what I needed after the stressful weekend I'd had at work. The massage chair they provide at the basins definitely helped too! 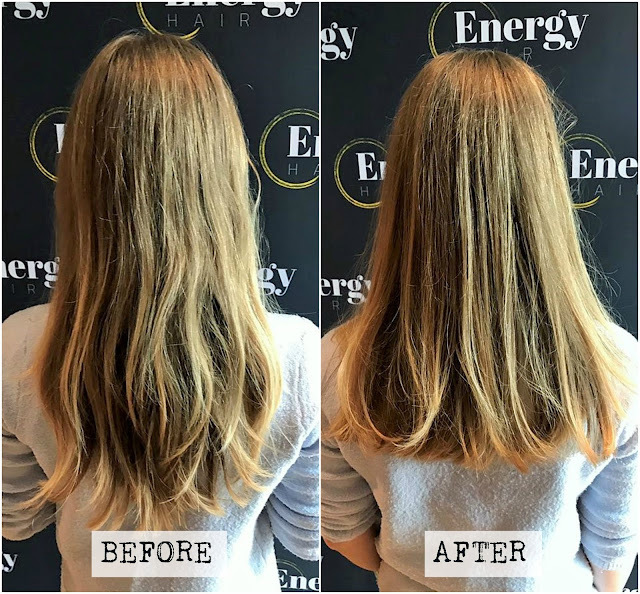 These little touches just go to show how luxurious and relaxing Energy Hair is - it's not just a place to get your seasonal haircut, but somewhere you can unwind and enjoy. Post-wash, Luke asked how I'd like my hair cut. I wasn't looking for a drastic hair change - just a couple of inches off and some subtle layers cut back in. Luke listened well and did a great job. He cut and blow dried my hair exactly how I like it and I couldn't have been happier with it. It was great to see Nathan, the owner of Energy Hair, checking in on Luke and I during the process. Luke is still learning of course, but it was clear that Nathan had full confidence in Luke's abilities - as did I! The whole staff team seem really friendly and were a joy to be around.